Daniel Westiner, a local restaurant and coffee shop vet, recently quit his day job and began working on the process of launching Other Animal Coffee Roasters. For his recently acquired roaster, he found a deal of a space: the site of a former shoe store in South Philly that he’s been renovating mostly by himself since the end of July. With “every imaginable coffee device in his home” he’s been cupping or sampling coffees non-stop for the last few weeks while searching for the best coffees to showcase. 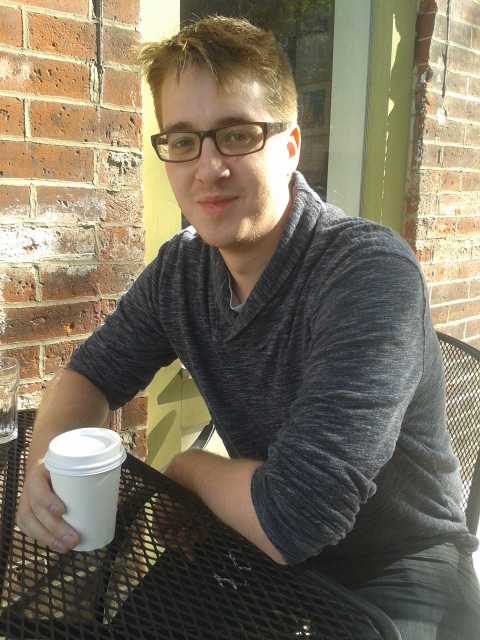 We recently talked outside of Shot Tower Coffee. Where are you at in getting things up and running? When I got the location [at 15th & Federal], it was in really bad shape, so I’ve just been working the last couple of months to turn that into a roasting space. I got the roaster in mid august but didn’t start roasting right away—I had to put in exhaust. I’ve only been doing test runs for a few weeks now. How did you go about getting the roaster? I did a lot research and just ended up purchasing one online. What were you roasting on before? 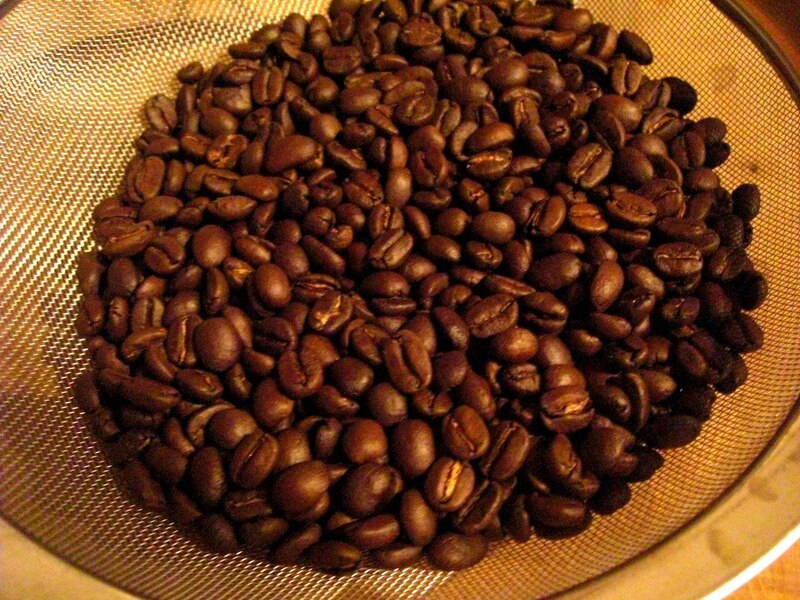 For trial runs, I’ve been home roasting a lot for about the last six years. I’ve done everything from popcorn poppers that I’ve modified with temperature probes, different kinds of motors inside. I’ve used a heat gun. And these are all pretty common with home roasting. You were roasting with a heat gun? Heat gun roast from back in the day. -Photo by Daniel Westiner.A heat gun and a metal bowl, yeah. That was really basic. A heat gun and a metal bowl, yeah. That was really basic. This was awhile ago. I don’t roast that way anymore. It’s very easy and it’s a very small investment. If you’re into coffee and you want to roast, it’s a very easy way to get involved. I eventually stepped up to this home roasting setup. A table roaster that would make a half lb at a time that was made just for coffee roasting. I ordered that one online. You’ve worked in the industry for awhile, right? I started at the Talula’s Garden in Kennet Square about 4 or 5 years ago and then after awhile they opened up Talula’s Garden Washington Square and then I started working there and eventually managed there. Then they opened up Talula’s Daily right next to it, which is more of a café and then a restaurant at night. I managed the café when it opened. I take it they have good coffee at the café? Yeah, they do La Colombe there. La Colombe roasts specific blends just for Talula’s Daily, which is pretty interesting. Was it working at restaurants that made you really like coffee? That’s a good question. I’ve always drank coffee since I was very young, which is probably really bad. I guess definitely working in cafes. Even before I was at Talula’s, I bounced around; I was always a barista at cafes, in high school and then in college. So, I was always into the café culture, always into coffee. It’s like any hobby. Once you start delving deeper, it starts to consume you. Then I just started getting obsessed with really good coffee. Brion, great story, “New Philly Coffee Roaster”. It felt like I was sitting in on a conversation with you, very personal and informative. Hope you’re well! Thanks Joe. Same to you. I’ll see you, Nem and Gil at the farmers market at Headhouse soon.